Eurocom has launched a new mobile server, the Eurocom P5 Pro SE3, which is powered Intel Xeon E3-1200 v3 series processors. The P5 Pro SE3 mobile server is an all-in-one system that that's designed for easy network setup and transport and does not require installation in a server room. It weights in at 7.5 pounds and measures 5.4" x 10.48" x 1.4", so it can fit in a single carrying bag. The chassis is made of heavy duty ABS plastic for greater durability. Selection of preloaded operating systems available, including Microsoft Server 2012 R2, Windows 7, Windows 8.1 and Linux. 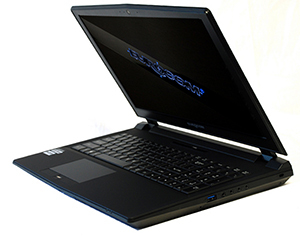 The Eurocom P5 Pro SE3 is also available in a 17.3-inch model. Further information about the Eurocom P5 Pro SE3 can be found on Eurocom's site.